FORT WAYNE — Join Science Central Saturday, Oct. 3, as they put the science in science fiction. 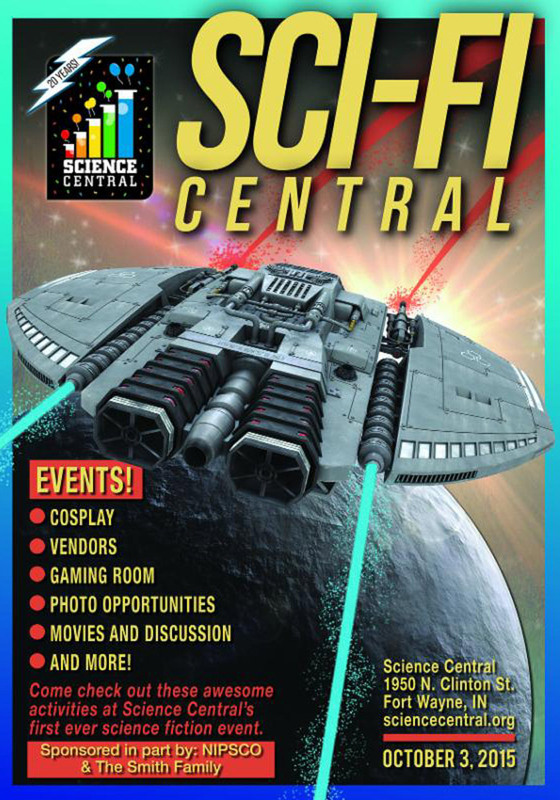 As part of Science Central’s 20th anniversary activities, the science center will host a special event celebrating science fiction, fantasy, gaming, comic books and more. Visitors will have the opportunity to take photos with classic Star Wars characters including the 501st Legion, R2-D2, an X-Wing fighter and even the Death Star. Run the Bridge of a spaceship with the Artemis: Spaceship Simulator. Watch a preview of the independent film Star Trek Axanar and screenings of classic science fiction films. Or even join in a gaming session or two. Visitors will also be able to buy from vendors in the marketplace and participate in a panel of local experts. A discussion panel with university professors will include topics such as the science in popular science fiction movies. Other presentations will include the 501st Legion and the R2 Builder’s Club. Visitors are also encouraged to come dressed as their favorite sci-fi or fantasy characters. There will be a costume parade and recognition at the end of the day for those who want to participate. Costumed guests under 18 will be entered to win a door prize. Please visit sciencecentral.org for cosplay rules and regulations. Visitors can purchase tickets online ahead of time by visiting sciencecentral.org.